The first time Caleb is mentioned in the Bible he was already an adult. 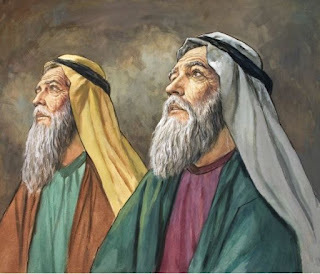 We know little about his childhood except Caleb’s father Jephunneh was not Jewish, he was a Kenizzite – a tribe considered to be enemies of Abraham many years earlier (Genesis 15:19). Caleb’s mother, whose name is not recorded, would have been Jewish from the tribe of Judah. The name Caleb means ‘dog’ which reveals his questionable bloodline. He was a child of mixed race. In spite of this, Caleb spent his entire adult life obeying God’s every command, loyally, faithfully, fearlessly, righteously, with humility and honour.